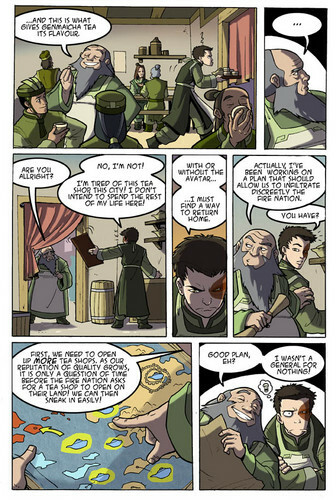 アバター Comic(Zuko and Iroh). Iroh shows Zuko the 'Plan'.. HD Wallpaper and background images in the アバター 伝説の少年アン club tagged: iroh zuko. Iroh shows Zuko the 'Plan'. hahaha! I laughed so hard! But that was a great plan they had! Yea...I laughed too, so I shared it. It was a good plan Iroh had. I think that zukoishot100 was reffering to Zuko. Just like Iroh. He's happy if there is more tea.